If you observe the above syntax of for loop in R, Vector may be string or integer, or anything you want to iterate. 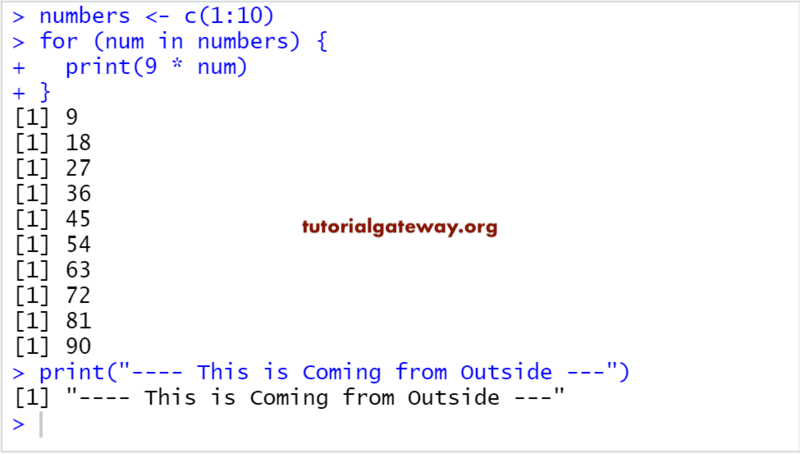 Next, it will execute the statements inside the R For loop. Initialization: We initialize the variable(s) here. For example x =1. After completing the every iteration, compiler will traverse to next item in the vector. Again it will check for the new items in vector. 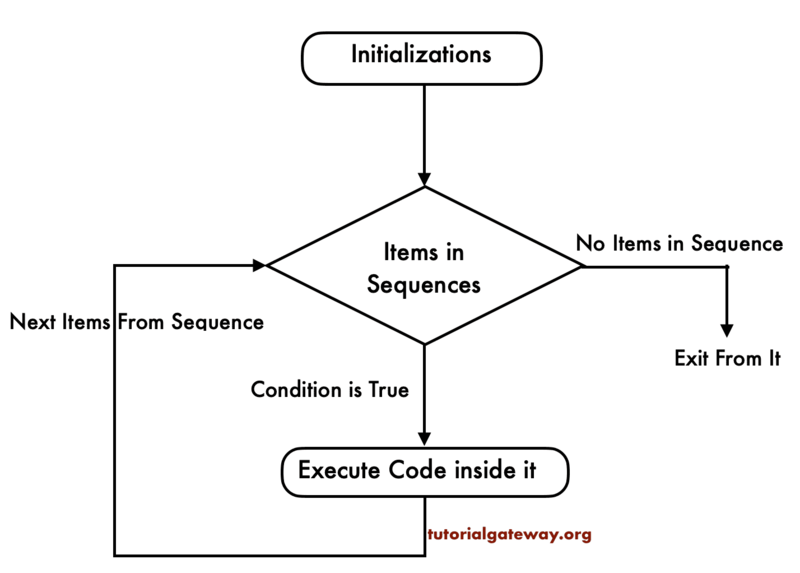 As long as the items in vector, the statements inside the for loop will be executed. For the first Iteration, Country = ‘India’. For the second Iteration, Country = ‘U K’. For the third Iteration, Country = ‘Japan’. For the fourth Iteration, Country = ‘U S A’. For the fifth Iteration, Country = ‘Australia’. From the sixth Iteration, Country = ‘China’.